Punjab – the land of five rivers. This pavilion is always on my must-visit list. My friend recommended it a few years back, calling it the “Punjab Party Pavilion,” and boy, she was right! I’ve always been in awe of traditional clothing: the details and intricate beadword, the material, and the rich colours. Don’t even get me started on the exquisite accessories to complete the look. To display this aspect of their culture, the cultural display is decorated with various artefacts and fabrics with said vibrant designs. Because of all the different fabrics, this cultural display is hands down one of the most colourful I’ve seen. 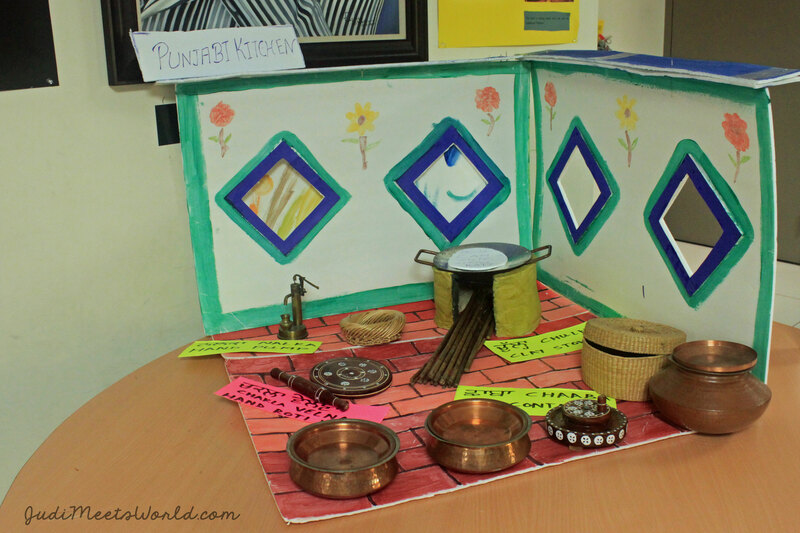 Traditions, instruments, everyday items in a Punjabi home, and a selection of different cultural attire are among the many things to see and learn in the cultural display. 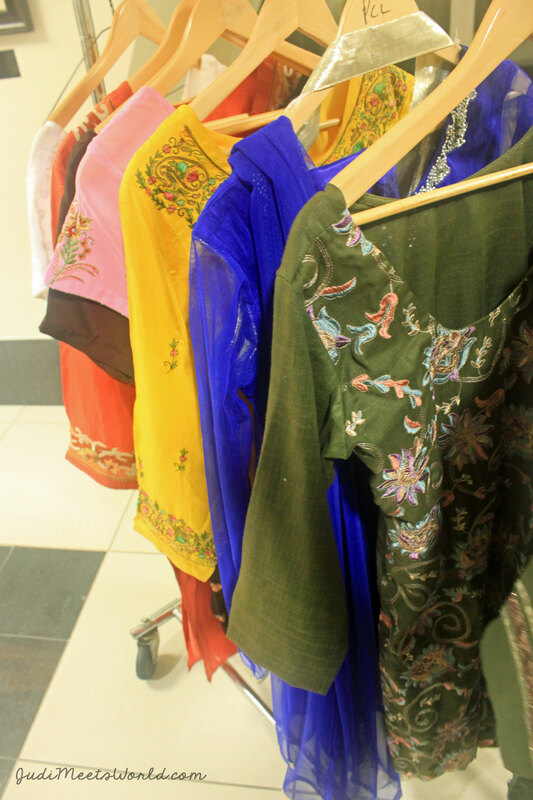 As mentioned above, the cultural display is a very visually colourful and inviting area. 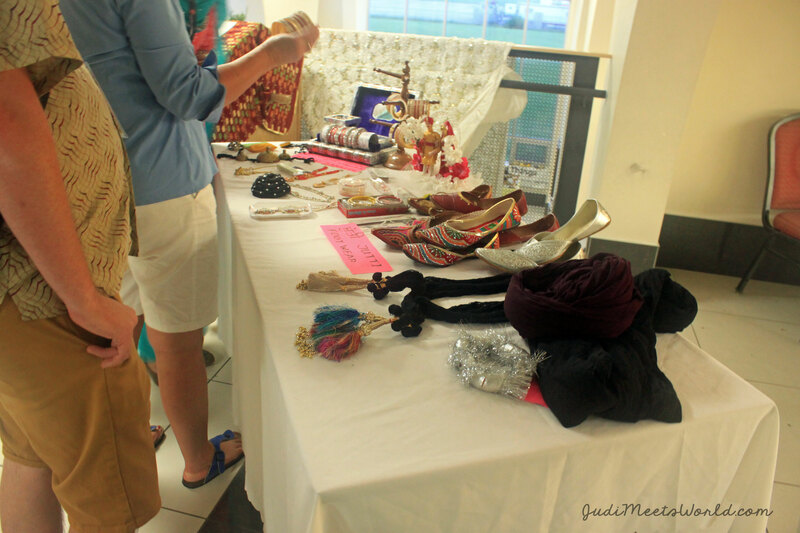 In addition to the upstairs cultural display, somewhere on the main floor, you can learn how to tie a turban and get some temporary henna tattoo designs as well! I recall last year that I had a vegetarian option. The platter came abundant with saag (spinach), chana masala (chick peas), kadhi (vegetarian curry made with yogurt). To complete the meal, a generous amount of naan bread. We learned about gidha, a style of dance before the rise of Bollywood. In this dance, young women clap their hands and move their feet quickly to the music. Maples Gidha entered together under a cloth – how appropriate for a “Woven Together” theme! Another high energy number came in the popular bhangra style of dancing. Winnipeg Bhangra had people cheering even before their number was over! Everyone in the audience is invited on stage to join the party. So don’t pretend you weren’t dancing in your seat the whole time! This “party” pavilion lives up to their fun reputation. To conclude the program, a song literally called “Party like a Punjabi” is played as guests are invited onto the stage. 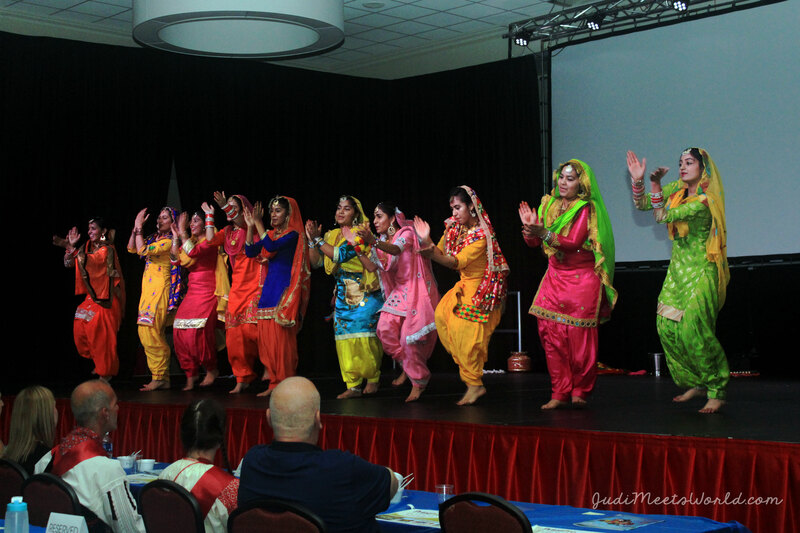 Dancers and volunteers storm the stage to dance altogether and celebrate Punjabi culture! Make sure you come to the Punjab Pavilion and party on stage with them!